FescueEvergreen grass. Small, compact habit. Narrow leaves with a dark bluish green color. In late s..
California FescueEvergreen grass. California native. Grows in greenish gray tufts very much like a c..
California FescueEvergreen grass. California native. Clumping tightly at the base, with leaves archi..
Common Blue FescueEvergreen perennial grass. Slow growing. Small mounded clumps. Good silvery gray c..
Elijah Blue FescueEvergreen grass. 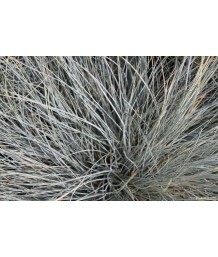 Finely-textured silver-blue foliage forms a dome-shaped, porcupin..
Siskiyou Blue FescueEvergreen grass. Tight clumps of narrow chalky-blue foliage. Flower stalks rise ..
Idaho/Bluebunch FescueEvergreen grass. Blue-green to silvery blue foliage in dense clump. Good slope..
Idaho/Bluebunch FescueEvergreen grass. Very narrow, chalky blue leaves. Blooming stems are silvery i..
Idaho FescueEvergreen grass. 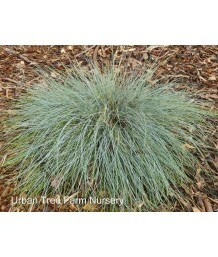 Narrow bright blue foliage with pale pink blooming stems that rise abov..
Idaho/Bluebunch FescueEvergreen grass. Narrow blue grey leaves. Flowering stems are silvery to pale ..
Idaho/Bluebunch FescueEvergreen grass. Tidy looking bunchgrass has very narrow deep blue green leave..
Idaho/Bluebunch FescueEvergreen grass. California native. Very narrow leaves, bright green at first ..
Atlas FescueEvergreen grass. Fountain-like growth habit gives this plant architectural quality. Khak..
Red FescueEvergreen grass. Low, spreading native. Commonly used as a lawn substitute. Blue gray foli..
Red FescueEvergreen grass. California native. Often used as a lawn replacement. Silvery blue narrow ..
Red FescueEvergreen grass. California native. Spreading habit ideal for native meadow or planting be..